Deliveroo data shows Italian is the most popular cuisine ordered by businesses and hotel guests. Restaurant and takeaway food delivery service Deliveroo has expanded its business offerings, announcing it is now offering deliveries to hotel guests across Australia. Following a trial with Meriton Suites properties, the company has signed new partner hotel organisations including Quest Serviced Apartments and TFE Hotels, covering its Adina, Travelodge, Vibe and Rendezvous Hotels brands. Deliveroo says that by specifically partnering with hotels, it can work with properties unable to run a kitchen full-time to provide guests with a wide selection of cuisines from local restaurants and takeaway food outlets. Menus for restaurants serving the hotel can be placed in guest rooms or added to in-room compendiums either in paper or digital form. Orders can be placed through the hotel and on delivery, collected by hotel staff, prepared with hotel crockery, cutlery and accompaniments and served direct to a guest’s room. Once finished, guests leave their tray outside the room to be cleared, just like a normal room service process. Deliveroo orders placed through a partnering hotel can also be charged to a guest’s room account as opposed to requiring full card payment at the time of ordering. In the coming months, Deliveroo will also trial a service allowing hotels and other accommodation businesses to schedule regular deliveries of snacks and fruit to their properties either for staff or guests to enjoy. Deliveroo says deliveries to businesses of all sizes during work hours is a market that is continuing to grow. Drawing on its own data, it says Italian is the most popular cuisine ordered and that Wednesdays and Thursdays are the most popular days for ordering a food delivery. 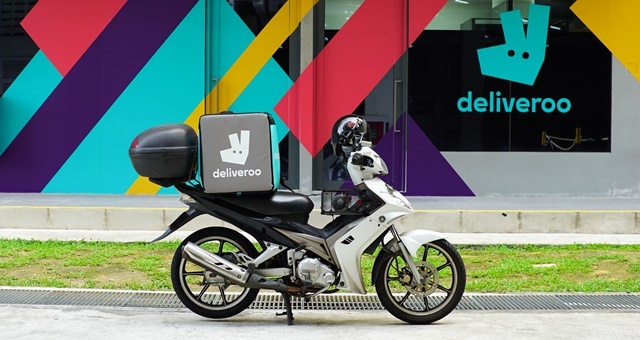 Country Manager Australia for Deliveroo, Levi Aron, said the new hotel service was providing more opportunities for restaurant partners to reach more customers. “Deliveroo is going from strength-to-strength in Australia, and we now have a network of 6,500 riders delivering food from over 7,000 restaurants. “With the expansion of Deliveroo for Business, we are helping businesses streamline the process of providing meals to staff and hotel guests, while ultimately providing even greater opportunities for Australians to access their favourite foods from Deliveroo in even more settings. We are also creating further opportunities for restaurants on our platforms to reach more customers at more times,” Aron added.